July is here! Somehow, the summer months always seem to be jam-packed and fly by way too fast. Every time I'm on my computer it seems, I'm checking my calendar to see what's coming up in the next few weekends that I may need to plan or account for. I decided to create a desktop-based calendar for super quick access. 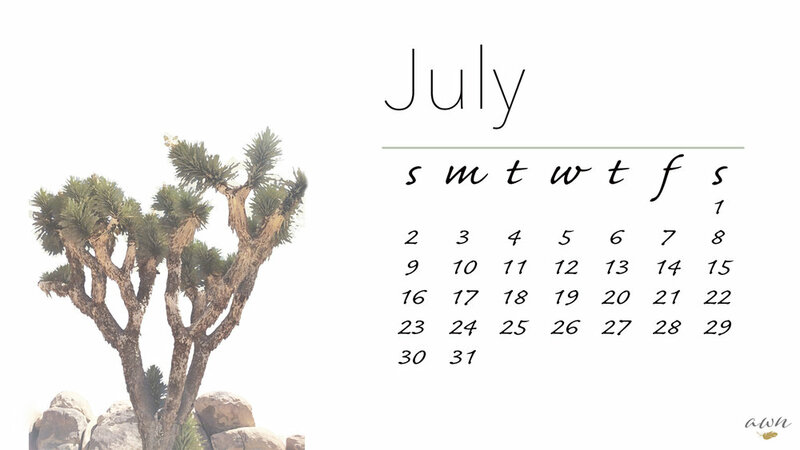 Since Palm Springs is our yearly summer vacay destination, I used a photo we took last year in Joshua Tree to add some desert prettiness to the desktop background. I was so happy with the final product, that I wanted to share with you all here. Enjoy and happy July!